Christopher Smart – Tributes To His Passing. Christopher Blake Smart – born 1950 and passed away 12th October, 2018. He had been a member of the AGW since 1987. Chris was passionate about everything Wales sport and particularly Welsh golf and it led to him establishing the Mid-Glamorgan Sports Agency. Amateur golf seemed to be Chris’ passion and in ‘surfing’ the net Chris delighted in filing amateur golf to newspapers such as the Telegraph including one article he filed 16-years ago from his very beloved Royal Porthcawl club. There was also a proud political side to Chris. 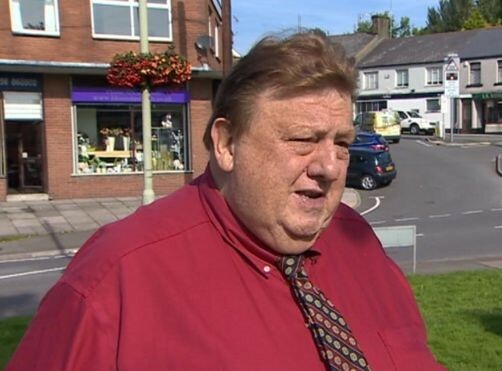 He was a former Conservative leader of Porthcawl Town Council and in 2007 Chris found himself being visited by officers from the electoral fraud squad while in May 2008 Chris held his Newton seat by just 14 votes. Chris was also former President of the Porthcawl Chamber of Trade. In 2010, Chris found himself the new sitting Wales Assembly member as the ‘next in line’ following the resignation of a Conservative colleague. Then in a complete political reversal in May 2013 Chris was elected chairman of then new Bridgend UKIP branch. In March 2017 he generated BBC Wales TV news headlines with a decision to leave the party. Versatility, seemed to one of Chris’s strengths for in May 2017 he was Master of Ceremonies at a Porthcawl Town Charity Ball where the ‘Licence to Thrill’ night was James Bond movies. Chris had been on the organising committee with the Grand Pavilion in Porthcawl taking on a Monte Carlo appearance while guests were greeted by the sight of a DBS Aston Martin on hand as they arrived for a red-carpet reception. Though it was Welsh sports Chris clearly loved most so much so in August 2012 he became a director of All Wales Sports, a website dedicated to providing one of the fastest sports results services in the UK. Thank you to Lewine Mair, Patricia Davies, Martin Dempster and John Hopkins who very kindly provided the following tributes to Chris. Chris Smart was indeed larger than life and someone who did an amazing amount to make Welsh golf a lively affair. He knew everything there was to know about his players and they, in turn, responded well to his cheerful and endlessly polite line in questioning. He was also a grand broadcaster who had the capacity to make the most of any situation, however minor. It was typical of him that if, say, he didn’t actually see one of his players making his or her hole in one, he still contrived to make it sound as if it was one of THE holes in one of all time. He and his wonderful wife, Kaye, who is today suffering with Parkinson’s Disease, were always the best of company at a tournament. What is more, whenever anything was wrong with the press accommodation – such as the time that four of five of us were expected to cover a British Girls’ Championship from a broom cupboard – we could always sit back and admire the way he sorted things out. As I remember it, he made a grand speech to the tournament committee and had us switched at once from broom cupboard to the members’ bridge room. On another occasion, he took one glance at the precariously placed caravan (it was on a sodden slope above the car park) which was supposed to serve as the press HQ for a week before advising officials that their accommodation in the clubhouse would suit us rather better. Chris could turn his hand to anything and, at one time, owned a hotel in Wales – an activity which prompted a host of entertaining stories. There was one I remember well… He had promised to take his guests into Cardiff for some last-minute Christmas shopping, only when the big day came he realised that he had made the mistake of forgetting to order a bus. With his usual aplomb, he called for a meeting of the residents and said that he had made the decision on their behalf to cancel the trip. A series of damming reports had come in about traffic being at a standstill and the last thing he wanted was to submit all of them to such a hideous situation. The party ended up thanking him warmly and giving him a round of applause. 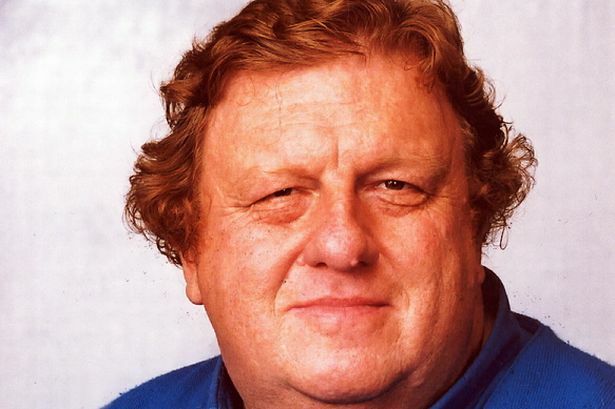 With Kaye’s support, Chris worked incredibly hard and you can be sure that the many Welsh golfers who contributed to his endless pages of golf coverage will have nothing but fond memories of him. Sorry to hear the sad news about Chris Smart. I spent a lot of time in press rooms/tents with him and Kay. I particularly remember one British Girls’ championship at Barnham Broom where we started off in a massive conference room; the next day our space had been cut in half; on the third day we were relegated to some sort of trolley shed where there was barely room for Chris and a table and chair let alone the rest of us. Must have been a phone though – no mobiles in those days – because Chris was booming down it, bawling out the poor unfortunate soul left in charge of running the press agency empire in South Wales. “Is John (or whoever the poor unfortunate was) deaf?” someone asked. Chris, startled, paused briefly before resuming his tirade at a similar volume! No copytaker, underling or colleague was ever in any doubt as to what Chris was conveying. Happy times. Condolences and best wishes to Kaye, Patricia. Sorry to hear that sad news. I always remember Chris filing copy after Stephen Dodd won the Amateur at Birkdale……and he was almost singing as he did so! Chris Smart was a larger than life figure, which is often said about people and is often wrong. In Chris’s case however it was absolutely true. He stood a little over six feet tall and when he died he weighed 30 stone. Chris ran a successful sports agency. It was based in south Wales but was often represented at events far afield. In the days when amateur golf merited some coverage in national newspapers, he and Kay, his wife who was such a support to him, were familiar figures at the big events, whether in Ireland or Czechoslovakia, Scotland or Sweden. Our association was founded to further the interests of golf writers. Chris was obviously a writer who contributed tens of thousands of words to newspapers, and magazines but to my way of thinking was much more obviously a broadcaster. I have lost track of the number of times I would be sitting in a cramped press centre or media room at an amateur golf event with some colleagues, including Chris and probably Kay. There would be some half-eaten sandwiches lying round, a few empty cups that once had contained tea or coffee. From time to time someone might bring the latest news from the golf course. What happened thereafter was eye-opening. He would pick up the phone to, say, Radio Wales, be plugged in to a live programme and then give a lucid, vibrant account of the goings on at the event he was covering. There would not be an “um” or an “ah”. There were never any hesitant pauses. I don’t think I ever heard him say “sorry, I’ll do that again.” He never fluffed a line. He would end at precisely the time he was meant to – one minute, two minutes thirty or whatever – and then he would put the ‘phone down and be ready to resume whatever it was he had been talking about a before. A little later he might repeat this performance but this time to dictate copy to the Western Mail or a national newspaper. Every time it was the same: good words, on time and to length. Some members of the Association of Golf Writers are gifted writers. To my mind, Chris Smart was every bit their equal, only as a broadcaster.